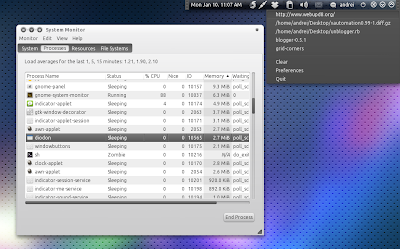 Diodon is a lightweight clipboard manager for Linux written in Vala which "aims to be the best integrated clipboard manager for the Gnome/GTK+ desktop". It doesn't have as many features as Glippy, Pastie and so on but it's a lot lighter and only uses around 2.7 mb of RAM on my system. If you like bleeding-edge software, you can find the daily builds PPA HERE. Diodon is very new so you may find bugs; report them @ Launchpad. Thanks to Garry for the tip!